BRYAN EATON/Staff photo. 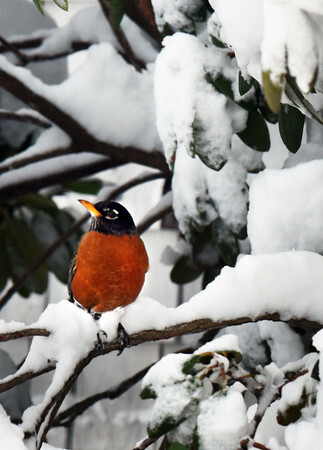 An American robin perched on a rhododendron bush on Gardner Street in Salisbury might be confused with the weather expecting it to be more spring-like at this time of year. More confusion is possible for the thrush as snow is possible next Tuesday.